Black or dark brown and whatever the primary color is, aniline dye, water soluble. We’re using water soluble because water doesn’t evaporate as fast as alcohol. It will make the grain of our figured maple raise a little which make a nice 3D effect. I got these from LMI. Sand paper, several grits, from P400 to P1200 (USA grades 320 to 600). Cut and fine liquid polish compound from LMI. Some white, lint free cotton cloth to make pads. One or two small bottles with caps for mixing the stains, I used juice bottles. A couple of wood scraps for testing, preferably from the same piece of wood used to make the top. That ensures that it will look the same and behave the same when stained. Maple is not very porous so the only thing that needs to be done is to sand down the surface. Start off with coarse sandpaper and go up to very fine P1200 grade to make the surface as flat as possible. Any sand marks left will be visible after the wood is stained. Do the same with the scraps as we’ll use them for testing and want them to behave as close to the real deal as possible. Note: do not touch the wood surface that needs to be stained after it’s sanded down. Although it’s not visible right away, oils and sweat from your fingers will be very visible once the wood is stained! Black or very dark brown stain is used to make the figure pop out and give that nice 3D effect. Mix some dye in 10-20ml of hot water and use cotton pad to apply it to one of the scraps. Leave at least 15 minutes for it to dissolve before applying. If it’s not dark enough add more stain and repeat the process on a new scrap. Once it’s dark enough apply it to the guitar. Let it dry for 24 hours or more. Use the same solution to stain a couple of test scraps. You’ll need at least 3-4 of them. Because we used water soluble dye, grain has raised but not evenly. Flamed maple doesn’t have even density and grain structure. Some parts will raise more than the others which makes some sort of micro washboard surface. Once dry, you can see it under right angle/light. We want to make the surface flat again, so parts that are higher will be sanded down more than parts that are lower. That means that higher parts will be lighter because more stain is removed. Lowest parts will keep most of it’s stain and remain black. Image below illustrates what happens here (thick black line represents stained wood). Use fine sandpaper to sand down black until natural maple color appears and the surface is flat. Again, you don’t want to touch the wood. Repeat the same thing with the scraps, sand them down until they look as close to the top as possible. At the end it should look something like this. You can sand down a bit more but dark lines will be a bit less dark. You may or may not want that. On the photo below, part of the top between neck pickup and neck pocket is left unsanded as it will be covered by the fingerboard. You can see the difference with parts that are sanded down. Dissolve some of your primary color in a new bottle with 10-20ml of hot water. For my guitar we used a lot or red with a hint of black to make it darker, ratio around 10:1. Use test scraps to tweak the color and once happy with it, apply it to the guitar. Leave it for another 24 hours or more to dry. Use color you see while it’s wet, immediately after it’s applied as a reference for what it will look like at the end. Once it’s dry it will look a bit dull, but don’t freak out. Clear coats will make it look lively and shiny again. Washboard effect was useful after black stain was applied because it helps achieve that cool 3D look. However, it’s makes clear coating a bit more complicated because it takes a lot more coats to get a nice flat surface. Having a couple of coats before black burst is applied is a good idea because it leaves less room for error. There’s thick clear coat between the black paint and wood, so if any burst corrections are needed, we won’t mess up the stain. The photo below shows guitar after a couple of clear coats – it’s not shiny yet because it’s not polished and it still has some of the washboard surface left. After several clear coats, surface is flat it’s ready for black burst. I opted for very narrow burst to show as much of the top as possible. Sides and back is also painted black. Clear coat is applied on the whole body to make it shiny. Finally, guitar is polished with very fine sandpaper and two different liquid polish compounds. Cut polish for removing sanding scratches and Fine polish for making it nice and shiny. This is the only part we left to a professional because we didn’t have the equipment necessary. Burst makes the finish pop out and gives it a nice, professional look. We opted for a very narrow black burst in this case because it complements the red/black staining well. Hi, What a beautiful guitar! I’m building my own tele- style guitar from mahogany and I’m thinking of doing a light burst effect – but I don’t want to stain the mahogany – I would like to keep the brownish natural mahogany at the the center with a narrow black burst at the end, similar to yours. Any suggestions on how to get that effect? Do I neet to do something to the mahogany (other than filling) ? Hi, I’m curious as to what it would look like if you added the next color without sanding back the black. 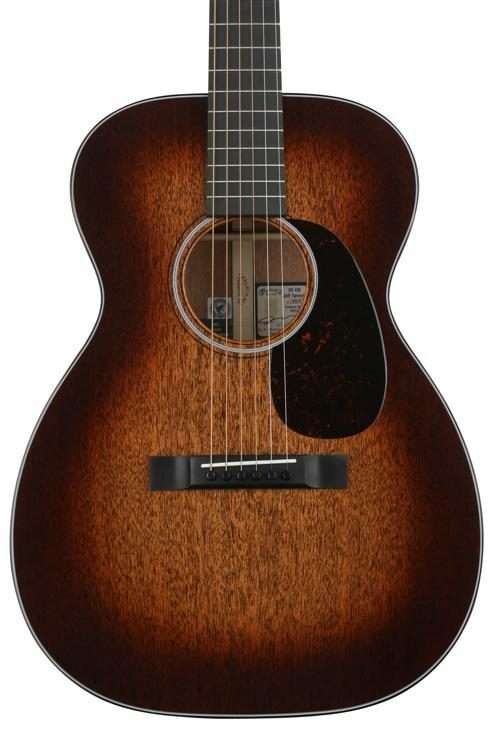 I want to do a guitar that’s mostly black with hints of another color within and was wondering if thats the way to go or should I sand back anyway but with a much finer grit to reveal less of the natural wood color? I suggest experimenting on a scrap piece of wood, preferably one that came from the same blank you used for the top. Is there anyway to do this with regular stains for wood? Sure. Pretty much any stain will take on wood. It’s just a matter of experimenting more to get the right shade/intensity you need. I like stewmac liquid stains and LMII powder because they are nice and vivid. Looks great! thank you for the detailed infos and photos. Just wondering what brand dyes you use and also for an entire body ( front sides and back but no neck ) How much stain should I mix to have enough… I am using tintfast powder..
That guitar is stained with LMII waterbased powder stain. Stewmac liquid stains are maybe even better, more versatile (can mix in anything) and easier to use. As far as the ratio hoes, I can’t remember. It’s crucial to test the mixture on a piece of wood. The look you get right after the application is about what it will look after clear coat. When it dries it looks a bit dull.